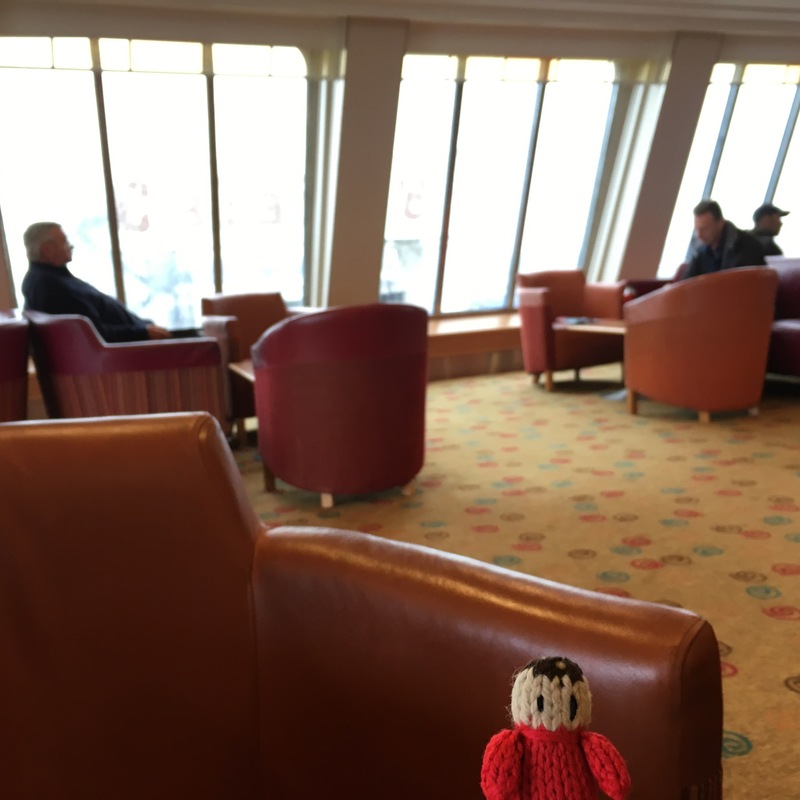 On Saturday, Pauly and I took the train to Carlisle to watch some football. We travelled in first class! We had to change at Preston. We arrived in Carlisle around mid day. We headed to Brunton Park to watch the match, the club were hoping to get over 8 thousand fans to come and watch, in the end, they promoted it so well, that over 10000 attended! Unfortunately, though Carlisle United scored 2 goals, they didn’t win, but we had a good day out. 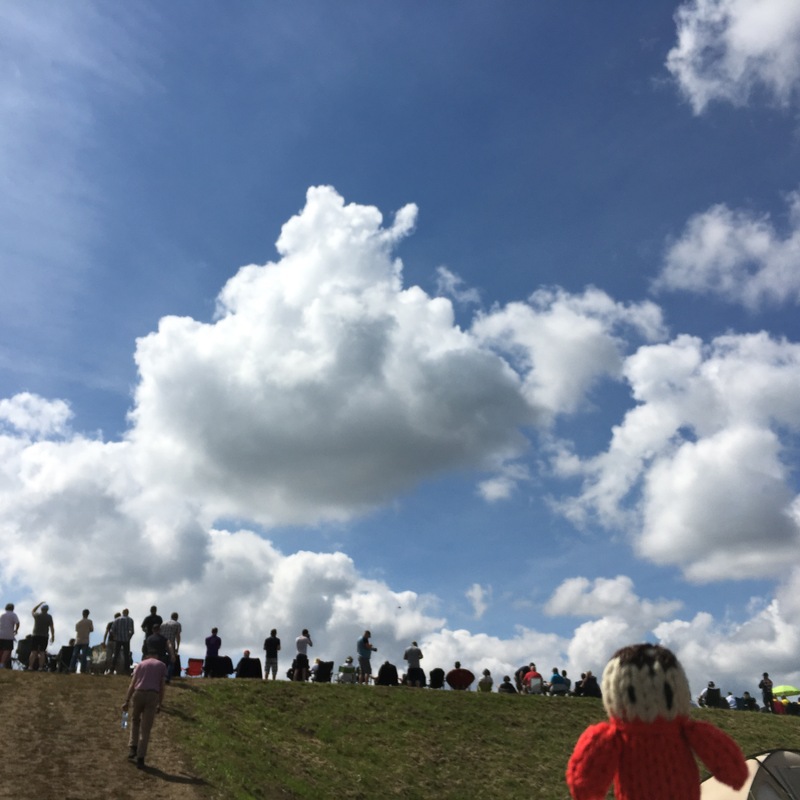 On Wednesday we went to see stage 4 of the Tour of Britain. It was finishing in Leamington Spa only a couple of minutes from our house! 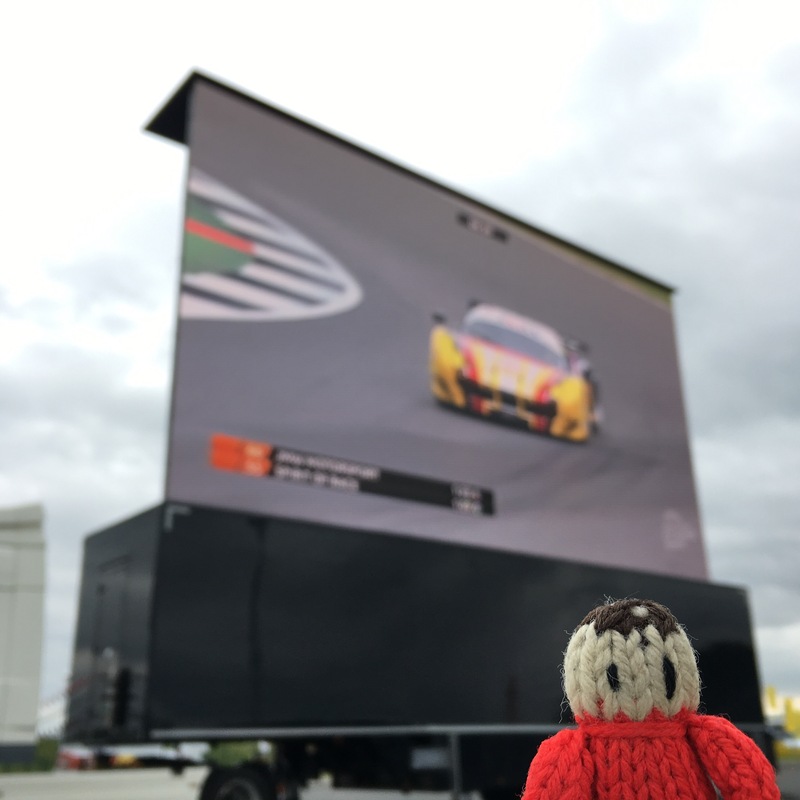 We decided to watch from the last corner before the finish line. It was exciting and of course over in no time at all! 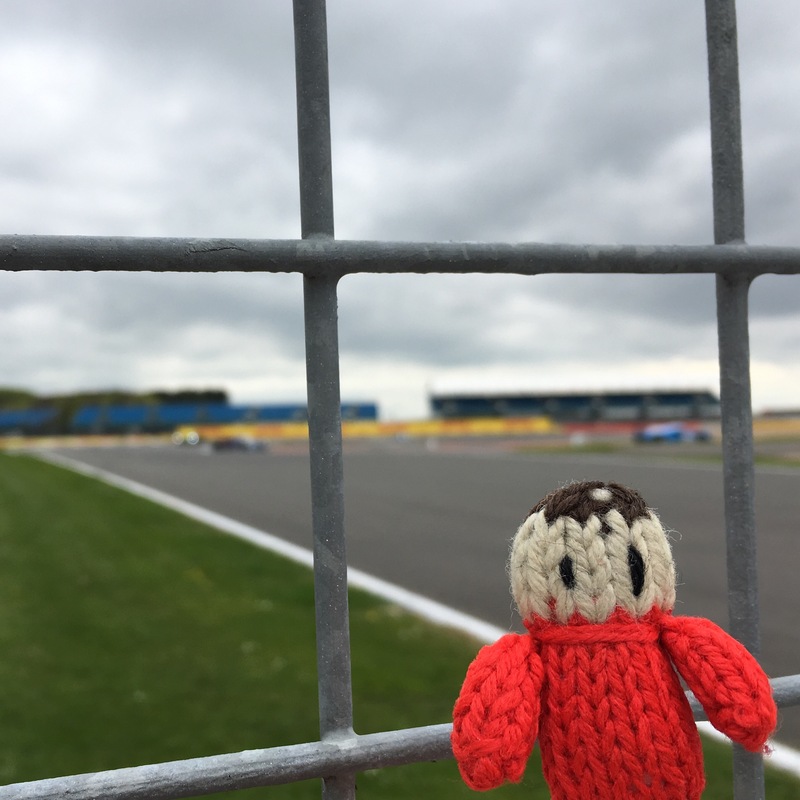 Zoë managed to get a good picture of Chris Froome. We had fun and it was great to see cycling so close to home! 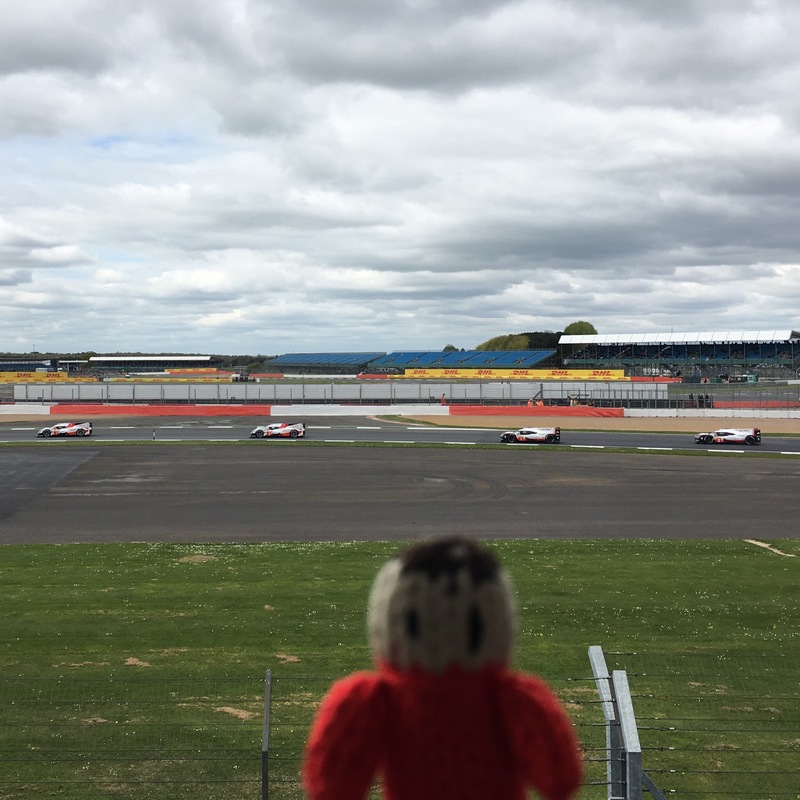 Last weekend was the WEC 6 hour race at Silverstone. 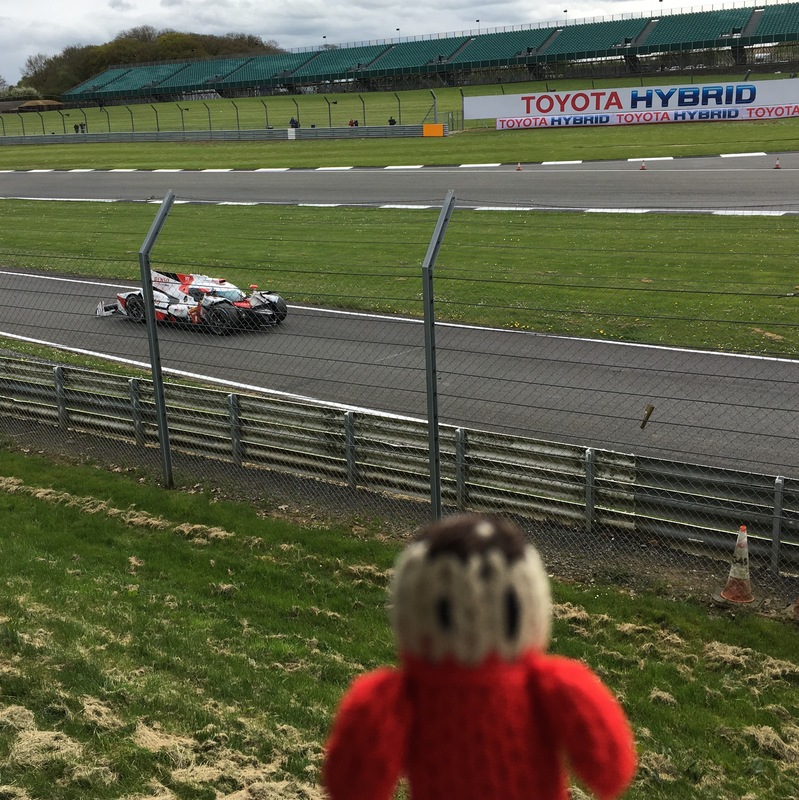 We had a good day out, it wasn’t the most exciting race and the 1st and 2nd placed Toyotas were subsequently disqualified! Now we have a 911 Pauly joined us up to the Porsche Club GB, we saw lots of pretty cars. 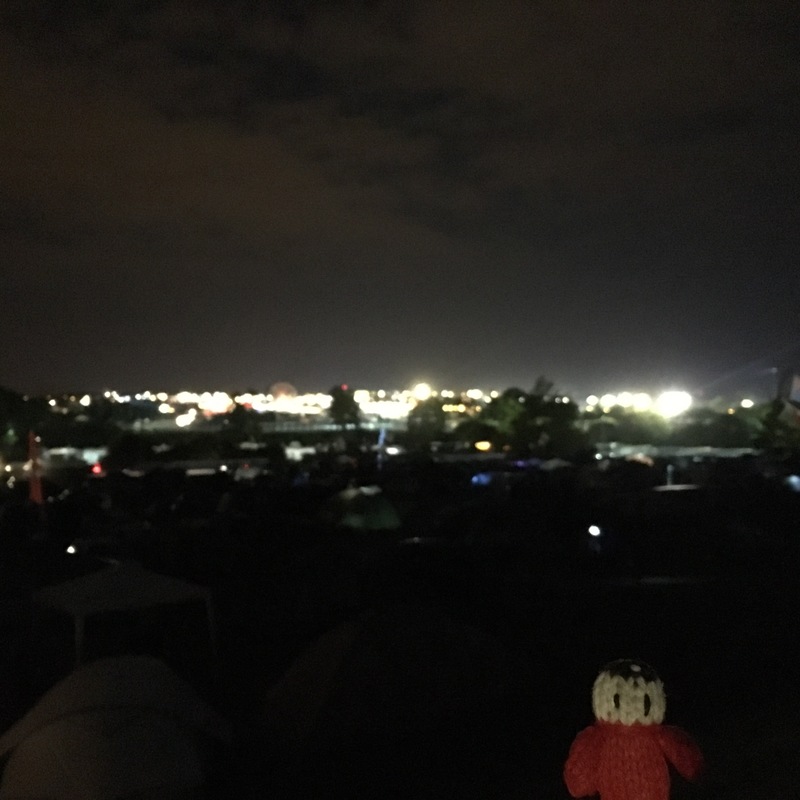 I had some chips to keep me going until the end of the 6 hours. 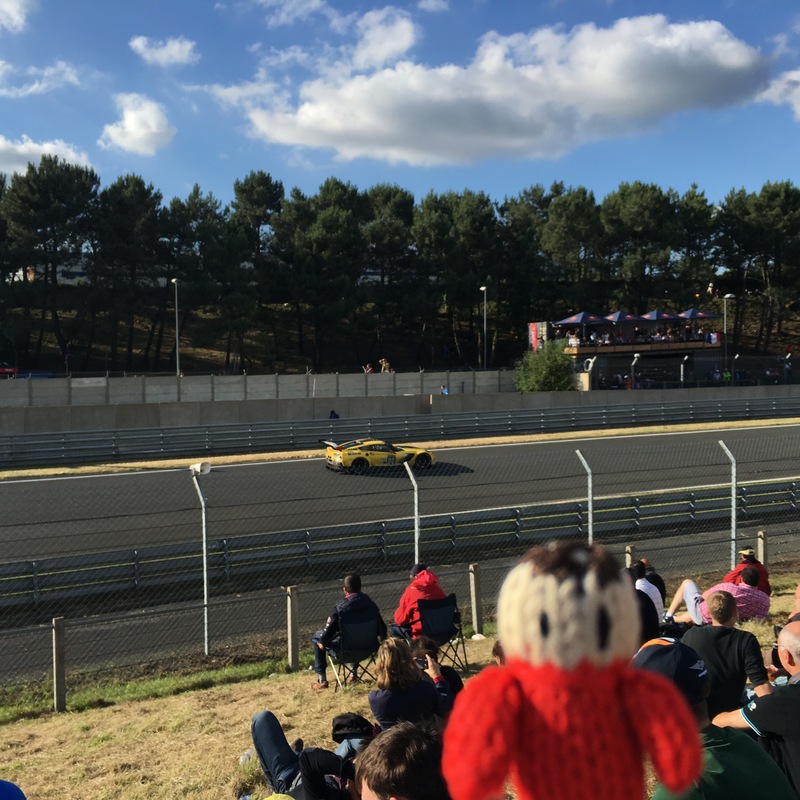 At the start of May Pauly took me with him to Spa Francorchamps for the first race of the World Endurance Championship. We drove to Belgium via the Channel Tunnel. After a journey of about eleven hours we were ready for beer and fries with mayo! 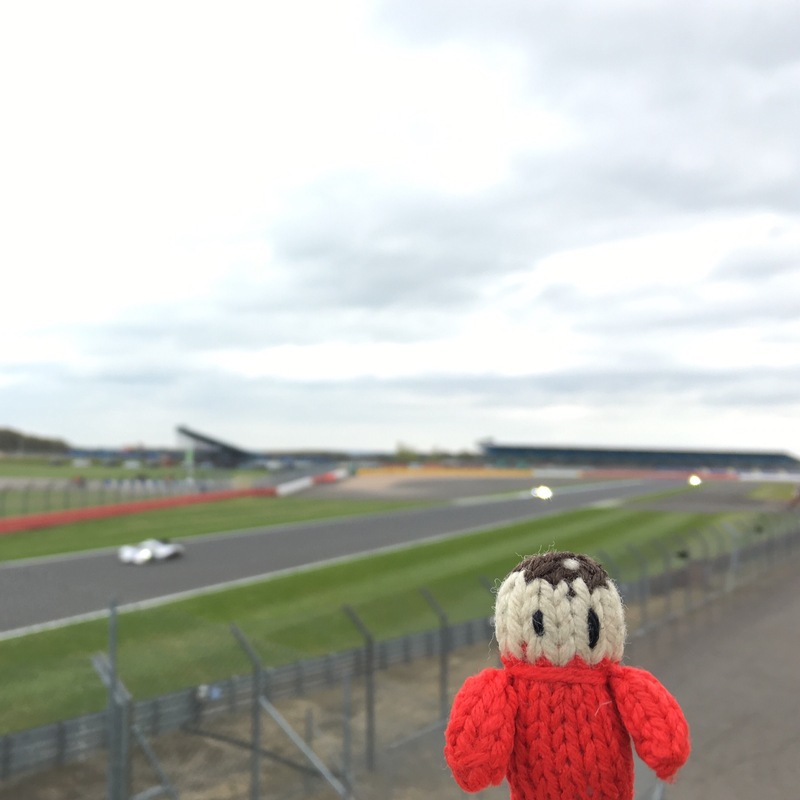 We were at the circuit from Saturday morning. Lunch, time for more fries. Racing! 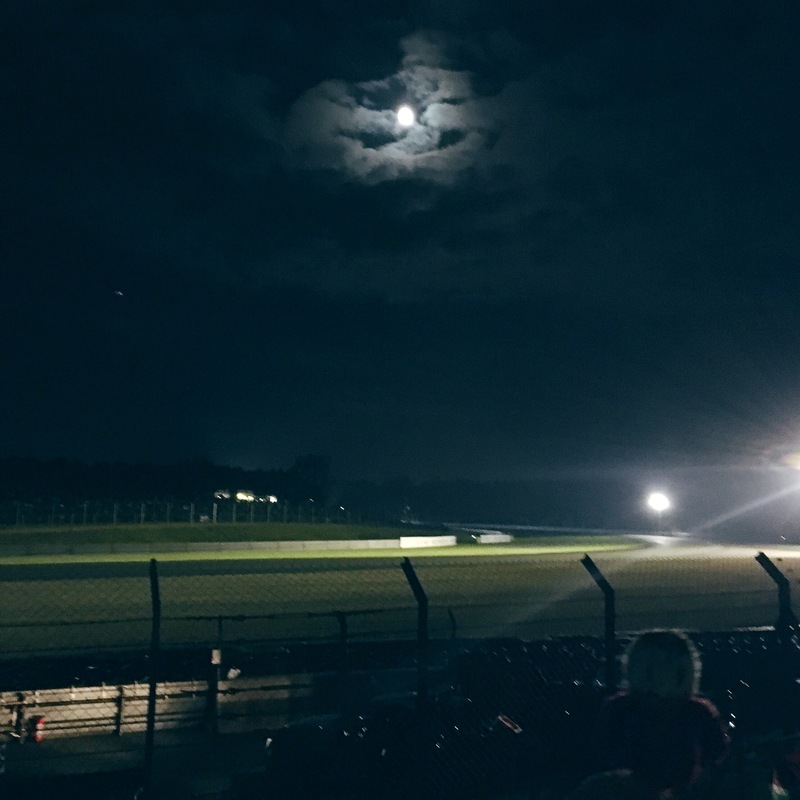 It was an exciting race and Spa is very beautiful. 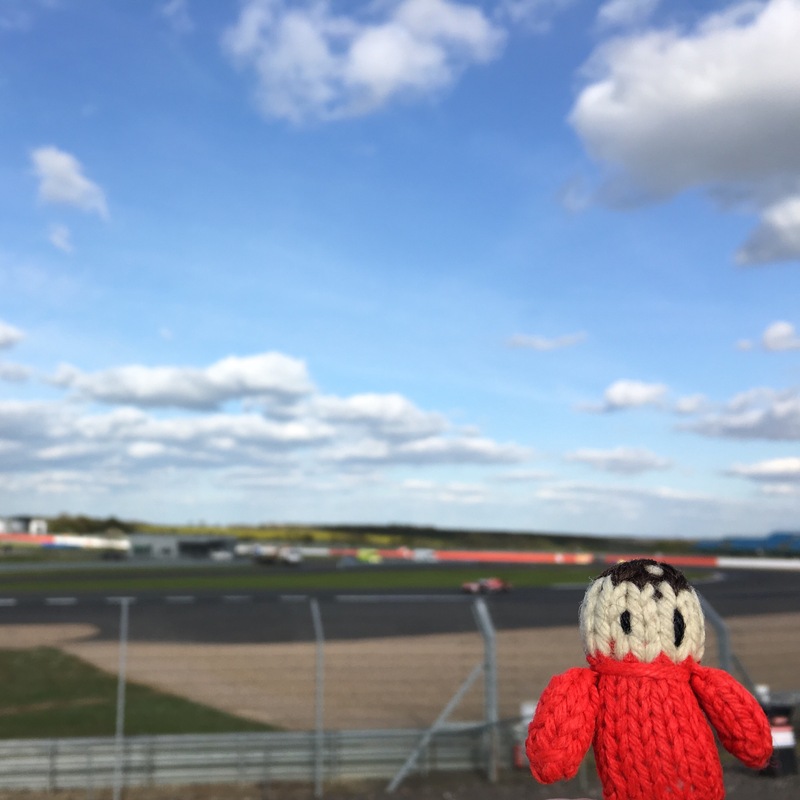 This year the FIA World Endurance Championship and European Le Mans Series ﻿races at Silverstone fell on the Easter weekend, this meant we could go on all three days! 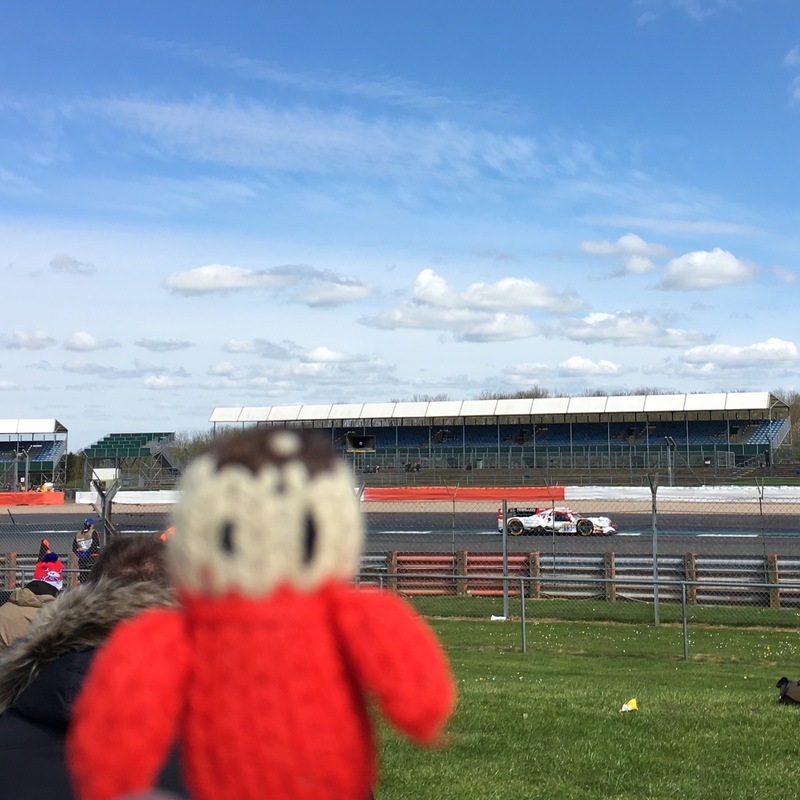 On Friday we saw the first WEC free practice session. 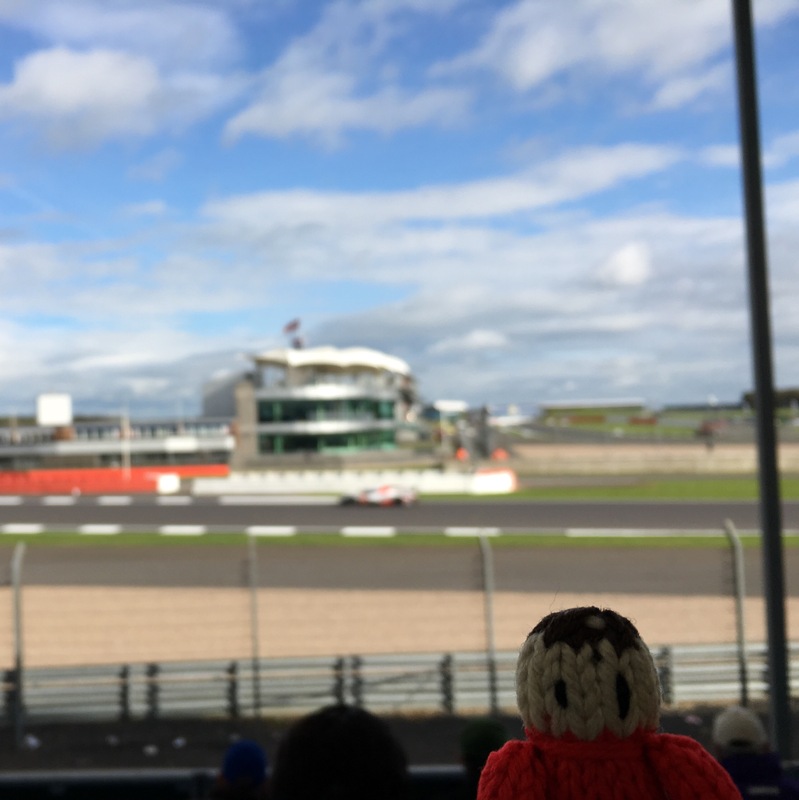 In the afternoon we watched the ELMS qualifying sessions. 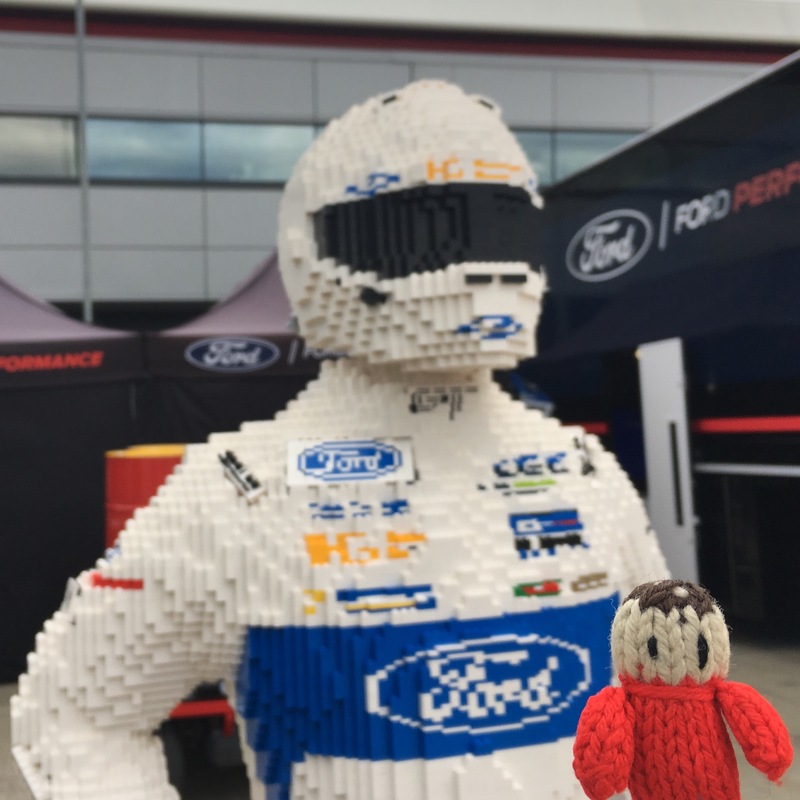 We walked through the WEC paddock and found a Lego racing driver! 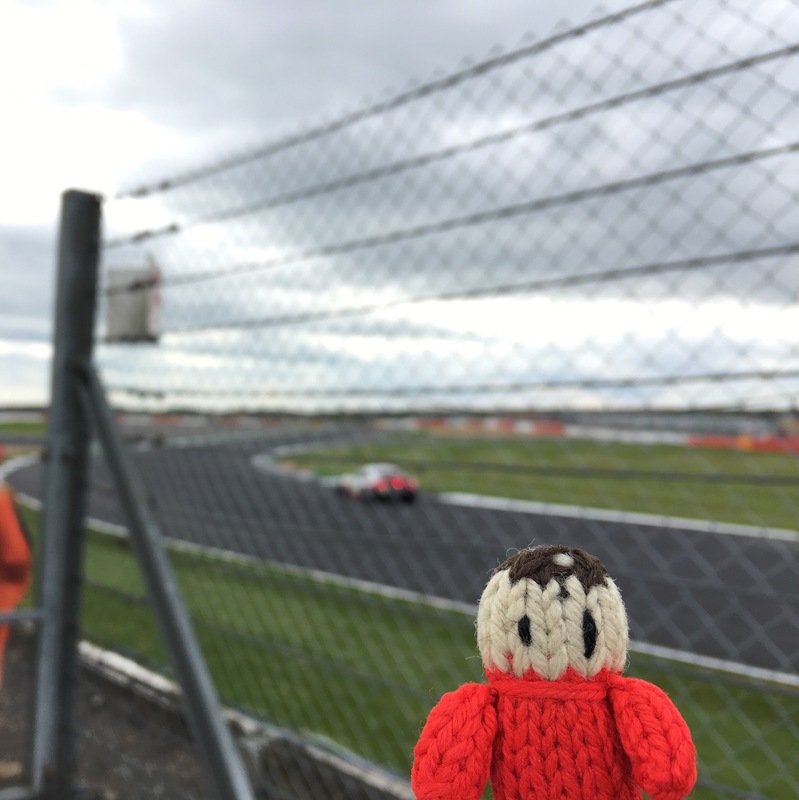 We enjoyed our few hours at the track getting ourselves in the mood for a weekend of racing! 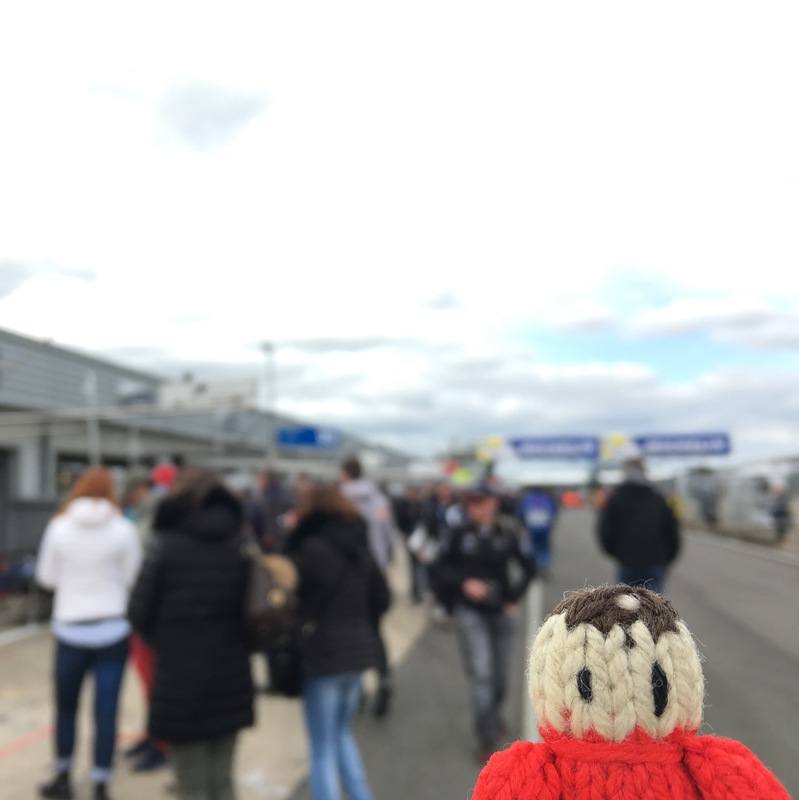 On Saturday we arrived in time to queue for the pit walk! 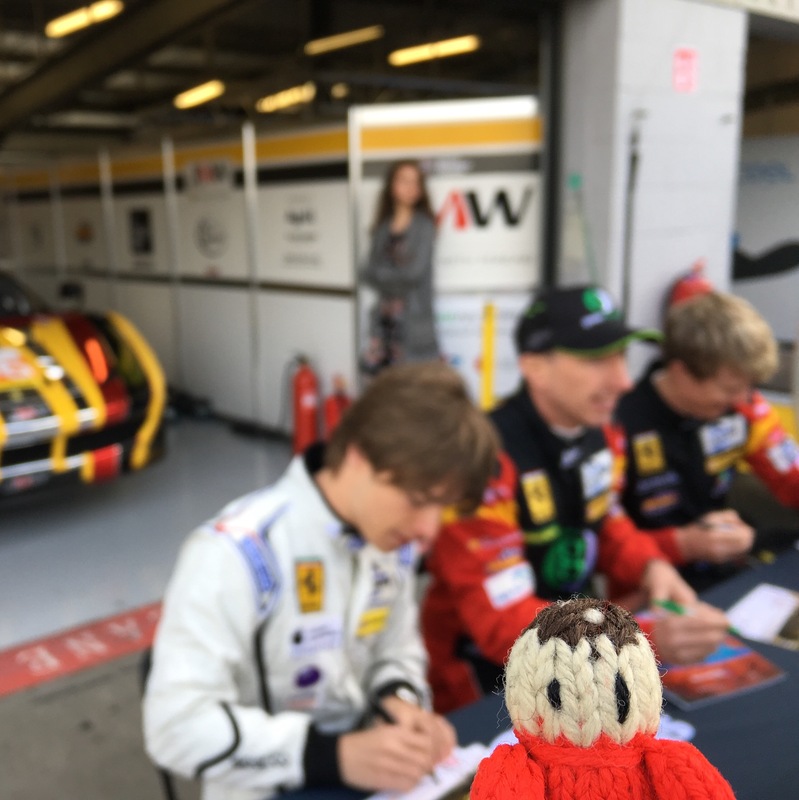 We enjoy the pit walks and autograph sessions, it is exciting to get close to the cars and drivers. 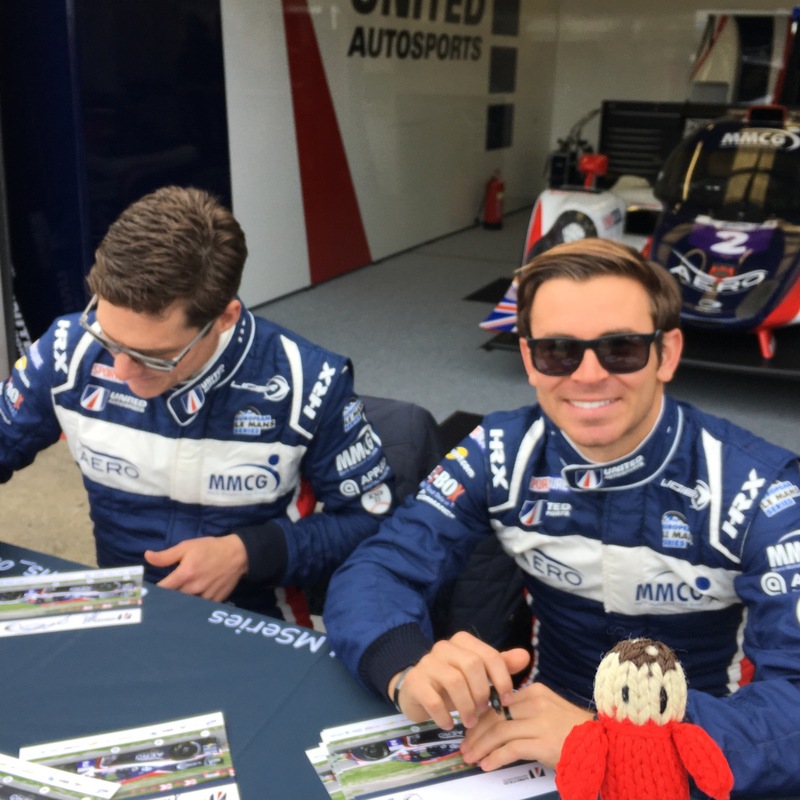 I didn’t have a favourite in this race so decided to pick a random car after the pit walk, I picked the number 2 United Autosports LMP3 car as Sean Rayhall was really friendly! 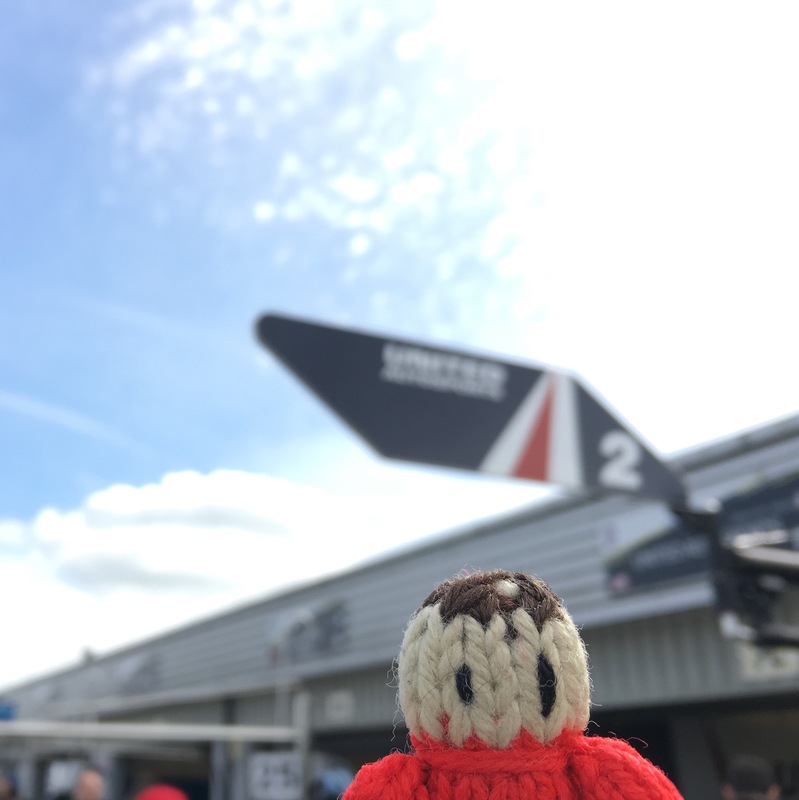 After the pit walk we grabbed a quick coffee before the WEC qualifying started. 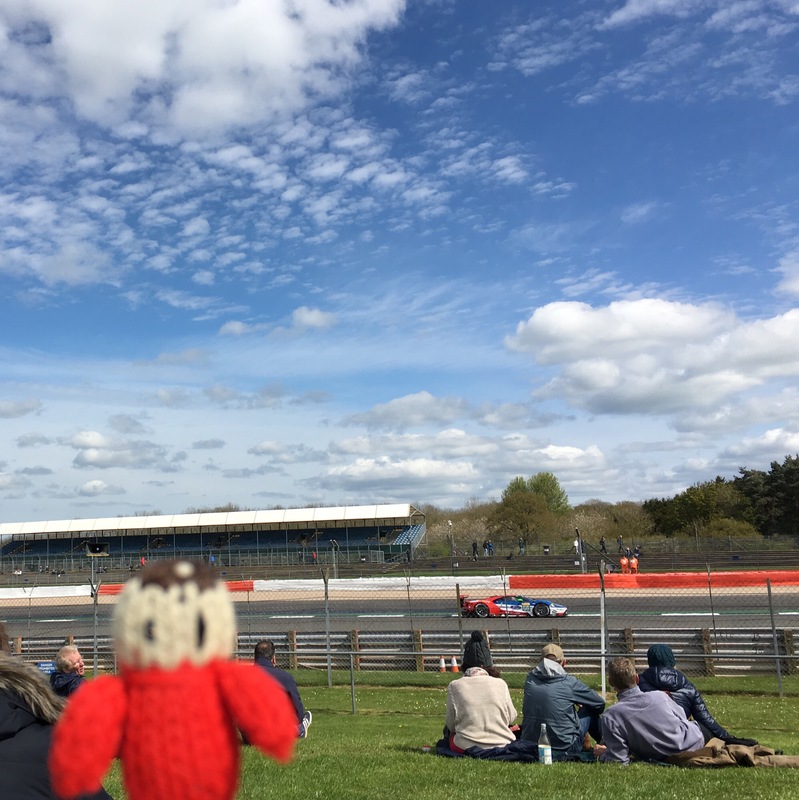 We headed over to Becketts to watch the start of the ELMS race. 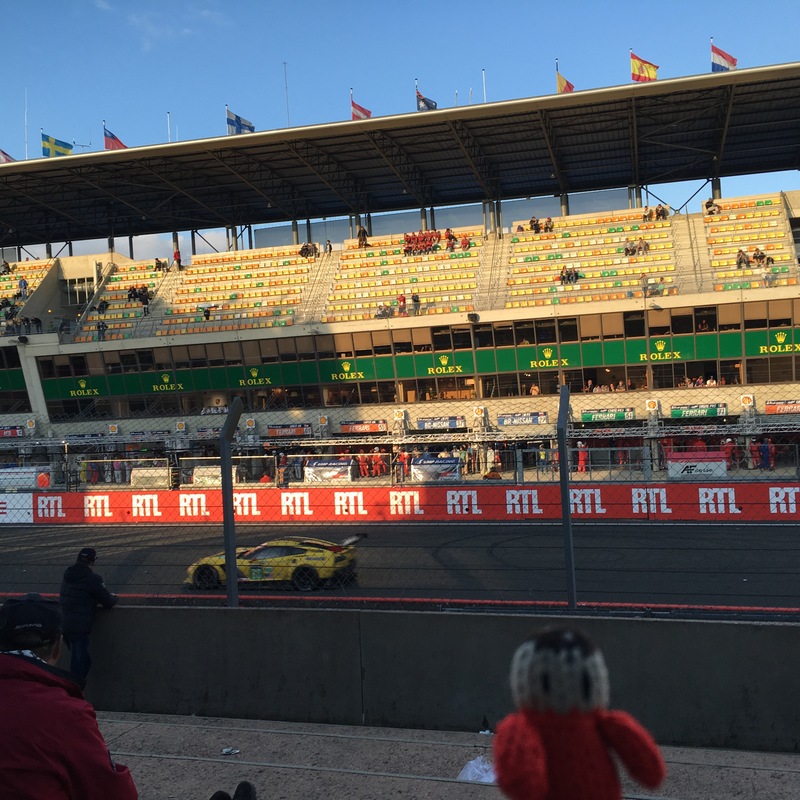 Our radio stopped working so we didn’t have a clear idea of what was happening during the full four hours of the race, but it was fun and there was a lot of close racing with a dramatic finish! 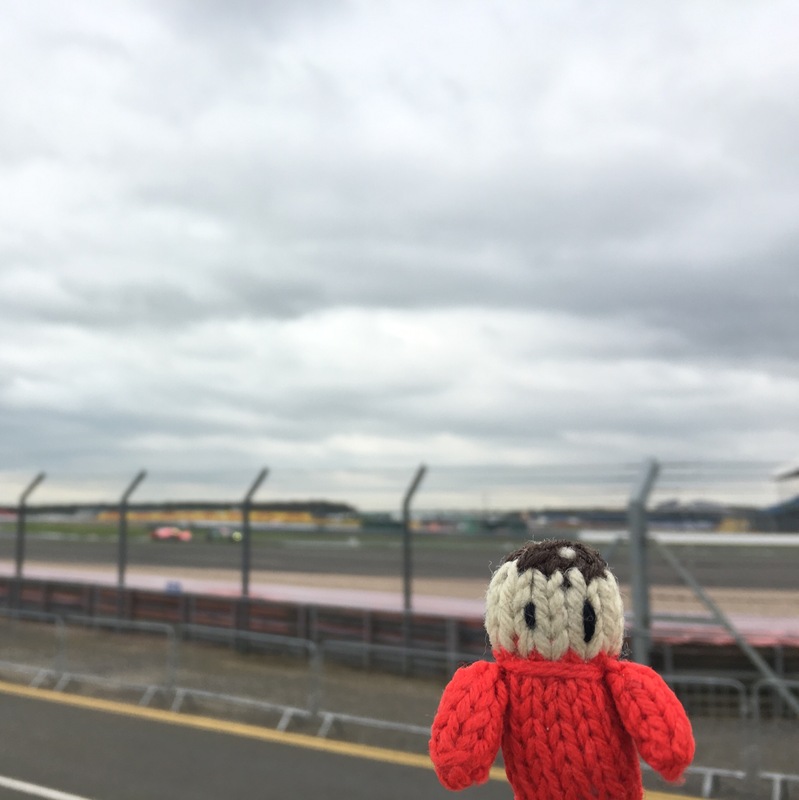 On Sunday we arrived at the track with enough time to walk out to Becketts, we didn’t go to the pit walk as it was at 8am, four hours before the start of the race! 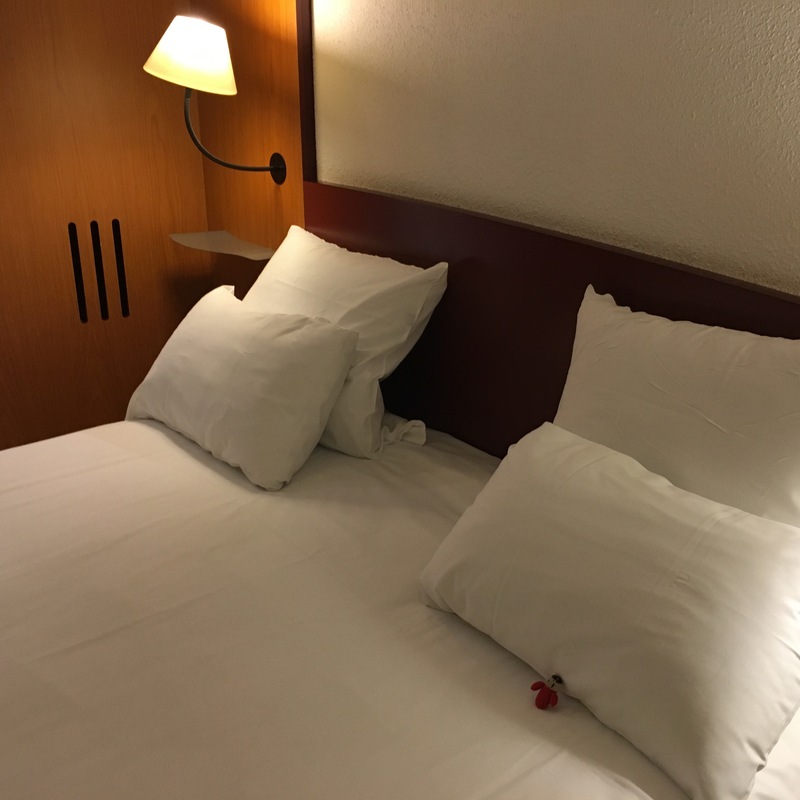 We didn’t feel like a really long day. 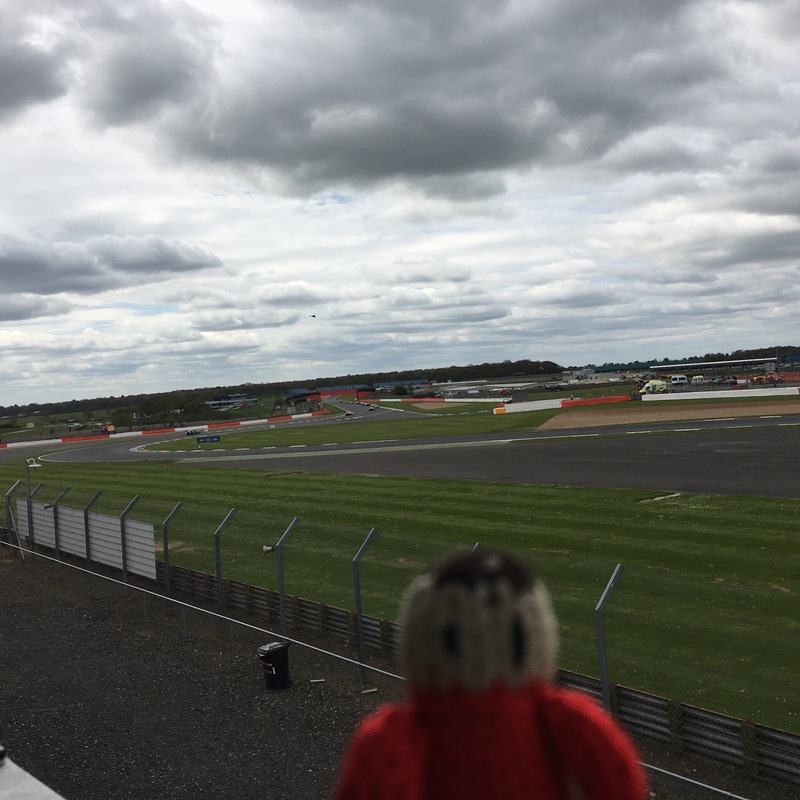 We sat in the grandstand at Becketts. 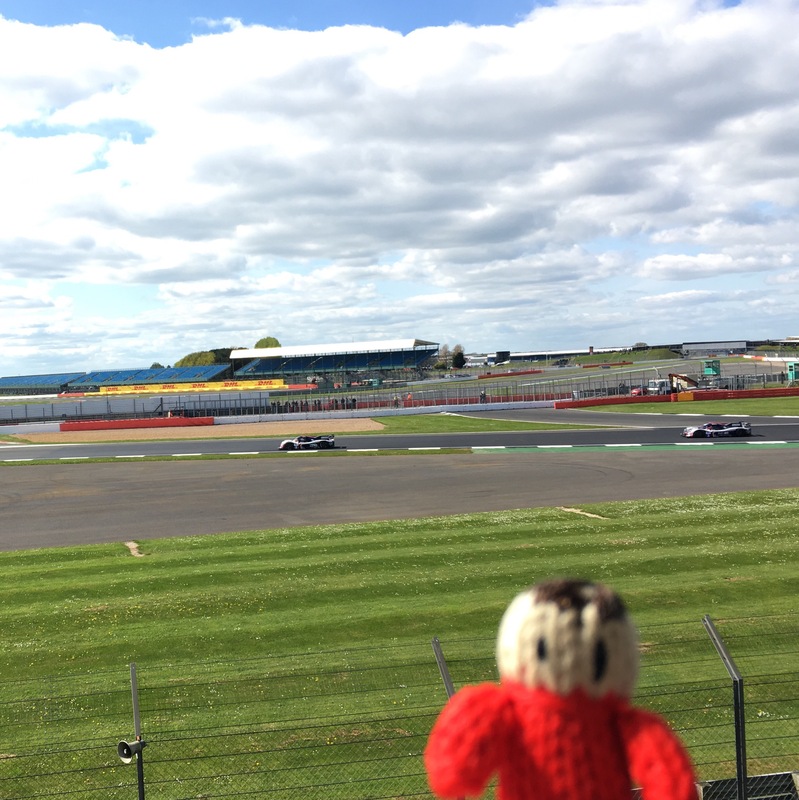 It is one of our favourite parts of Silverstone as you get such a good view of so much of the track. Here are the four LMP1 hybrid cars. 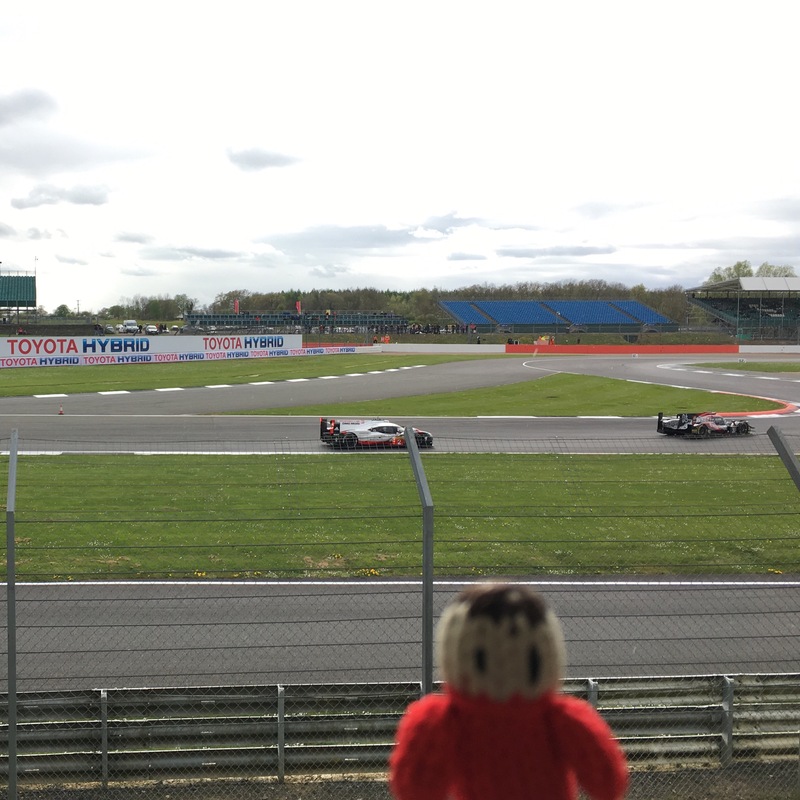 The first few laps are so exciting as the LMP1 cars make their way through the rest of the field. There were a few small rain showers, but they didn’t make too much difference. 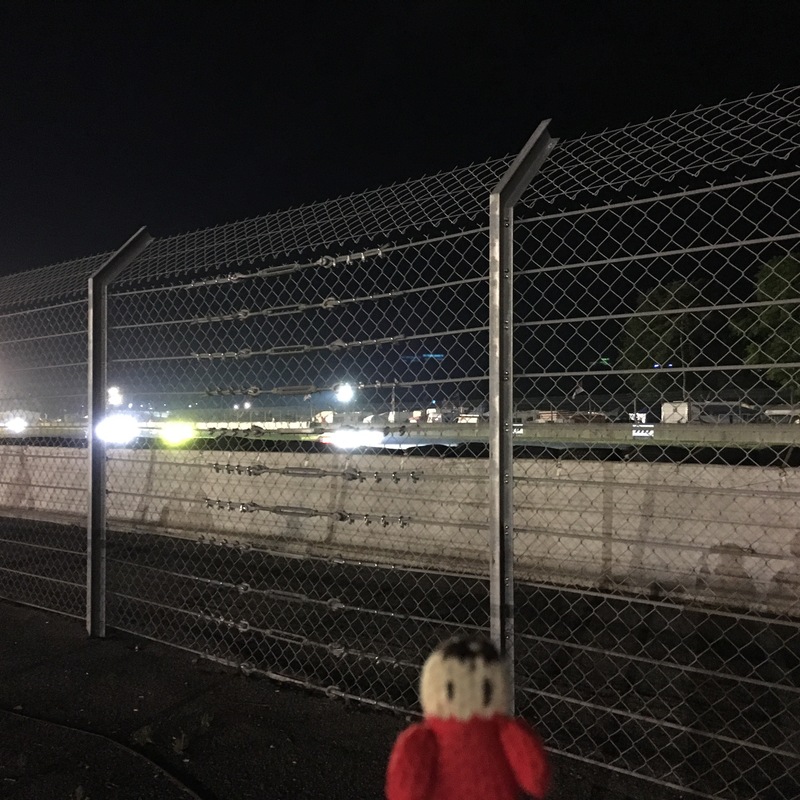 We watched from various places around the track during the six hours of the race. 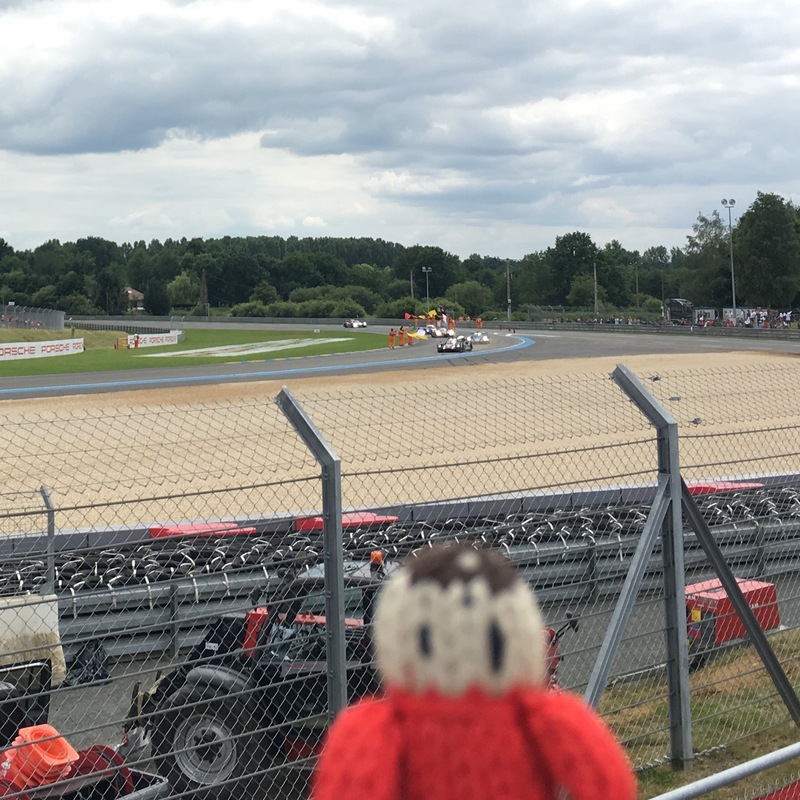 The 7 Toyota had a crash, we saw the broken car coming back into the pits. 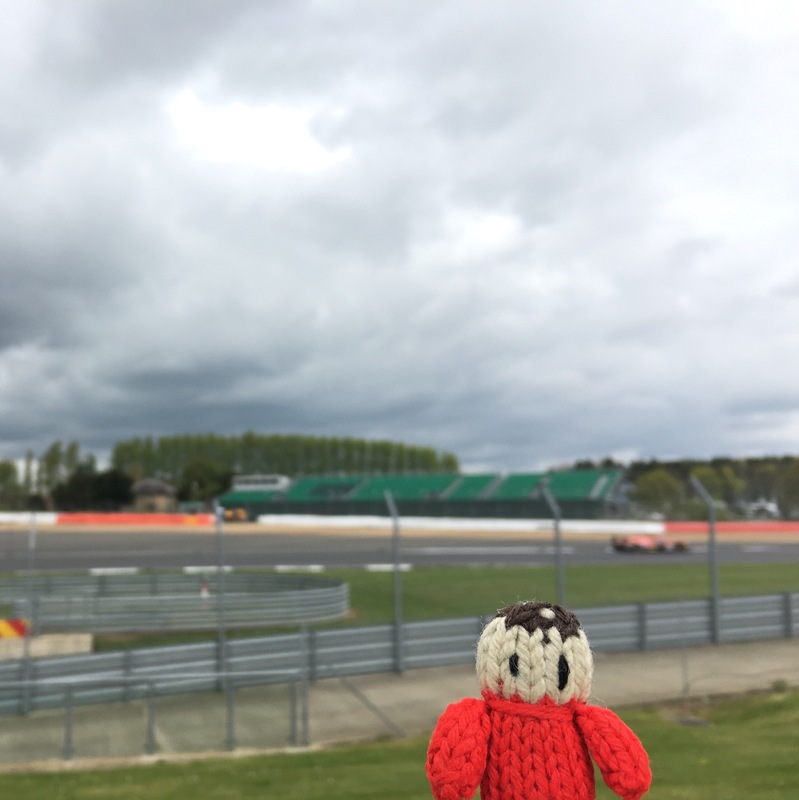 It was mostly overcast but we had a glimpse of some sunshine towards the end of the race. 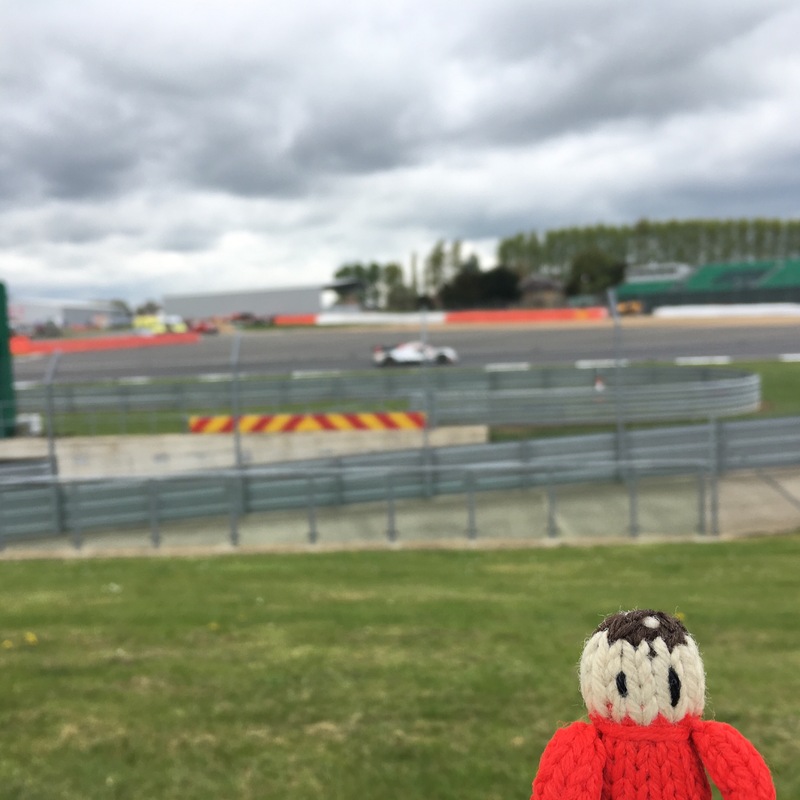 The end of the race was very dramatic, the number 8 Toyota took the lead in the last fifteen minutes, but it wasn’t as close as the GTE Am class that was decided on the final lap! 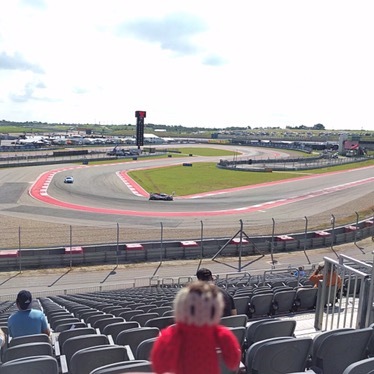 For a few years now, Paul has wanted to go to the Lone Star Le Mans event at the Circuit of the Americas in Texas, Zoë thought the weather would be too hot for her, but I went along too for the adventure. 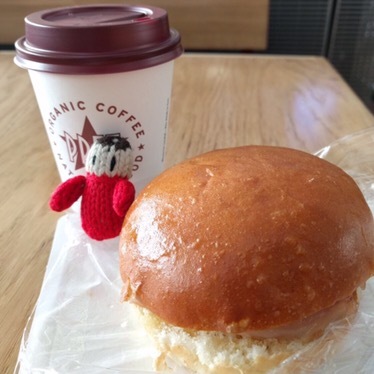 We started early on Thursday morning at Heathrow Airport, we had a Bacon roll and Coffee for breakfast while we were waiting for our flight. 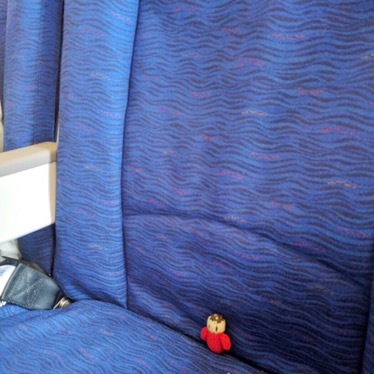 Once we got on the plane, it was quite an empty flight, so I got a seat all to myself! 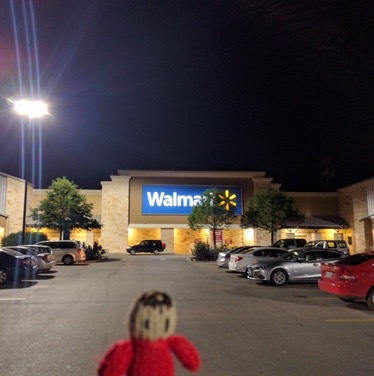 After arriving in America, one of the first things we did was to go shopping, Paul wanted to get some things for Zoë, we went to this enormous Walmart. 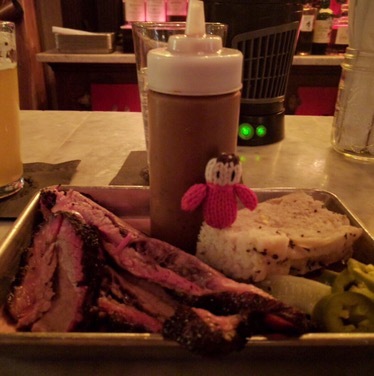 After our shopping trip we went into Austin and had a local speciality, Brisket with BBQ sauce, it was delicious. 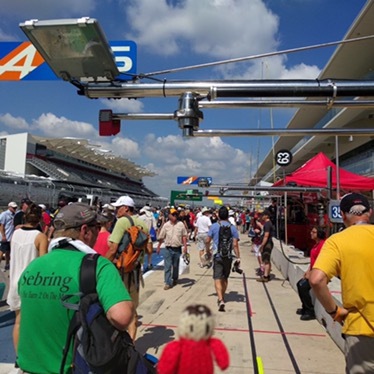 After a good night of sleep after our long day travelling, we went to the Circuit of the Americas on Friday to see some motor racing, we could visit any of the grandstands we wanted and we got to walk in the pit lane before the racing got underway, it was very hot, I think Zoë made the right decision not to come! 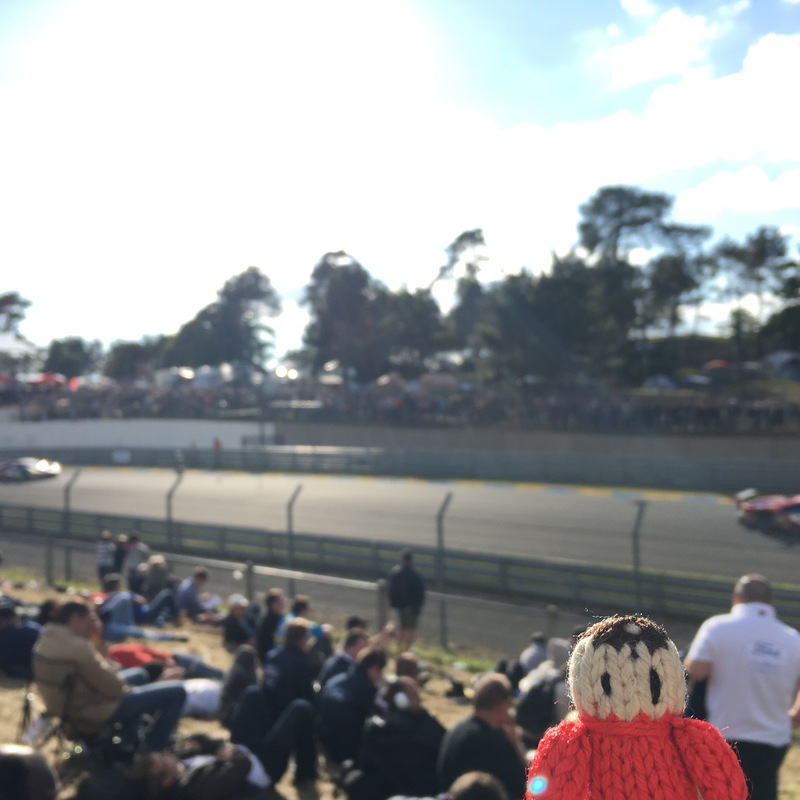 Saturday was the main race day. We went to visit the Corvette Corral where the Corvette owners park their cars, there was so many of them! 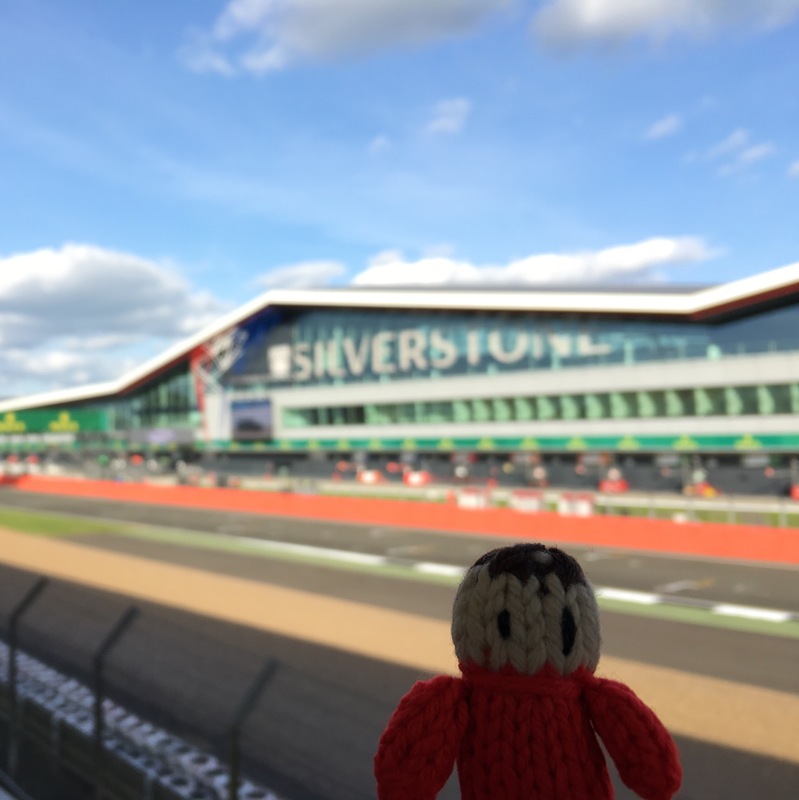 A friend of Paul’s kindly organised for us to go and see the racing Corvettes in the garage, it was very exciting! 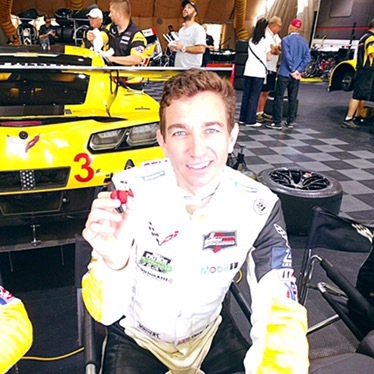 While we were at the Corvette garage I got to meet Olly Gavin, one of the drivers of the #4 Corvette! 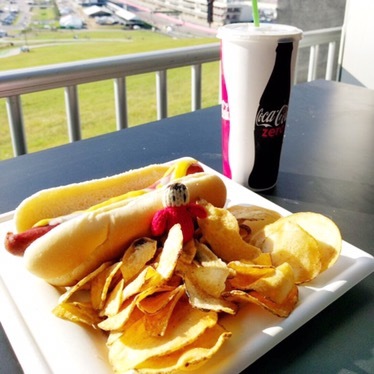 After all the excitement we were quite hungry, so we stopped for a hot dog. 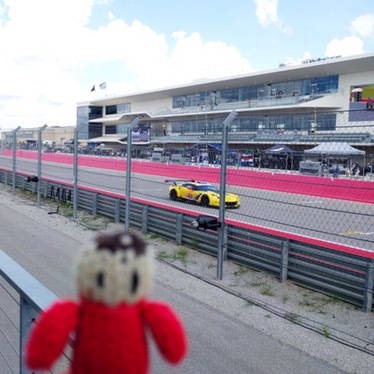 Finally it was time for the racing to get underway, first of all the IMSA race, I was cheering on the Corvettes as usual. 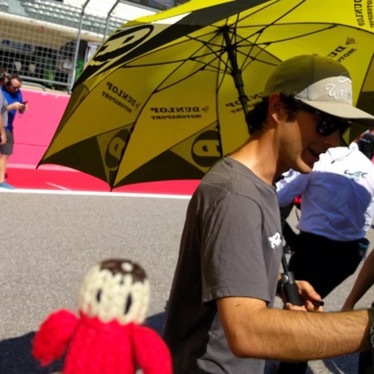 Before the WEC race there was a meet the driver session, I got to meet my old friend Bruno Senna again. 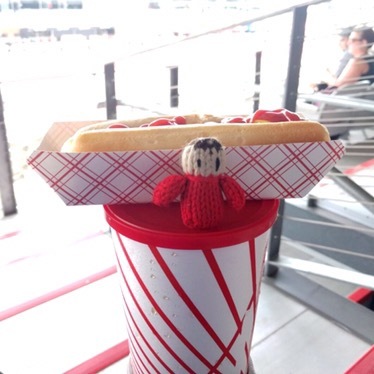 After even more excitement, we needed more food, so we stopped again for another hot dog! 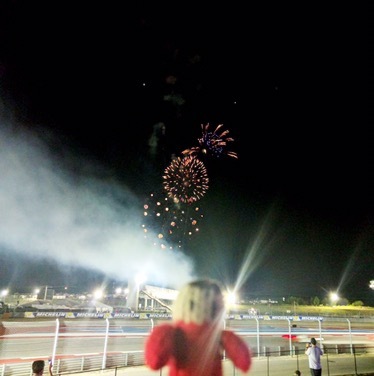 The WEC race went on into the night, and they even had a fireworks display as it was going on. 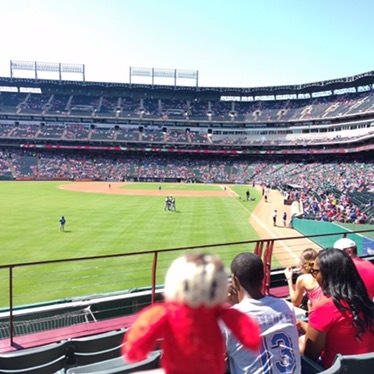 After two days in Austin at the Motor Racing, we went to Dallas to do something else Paul enjoys, watching Baseball, the Texas Rangers were playing the Oakland Athletics, if anything it was even hotter here than at the Motor Racing, Zoë would have melted. 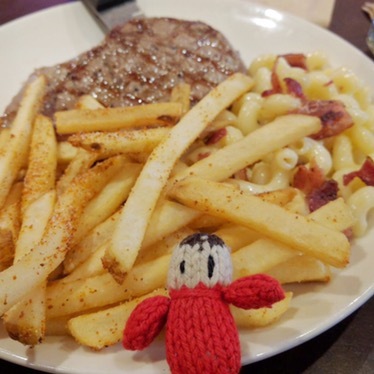 On our last night in Texas, we went out for Steak, with Fries, and MacNCheese, one of Paul’s favourites. 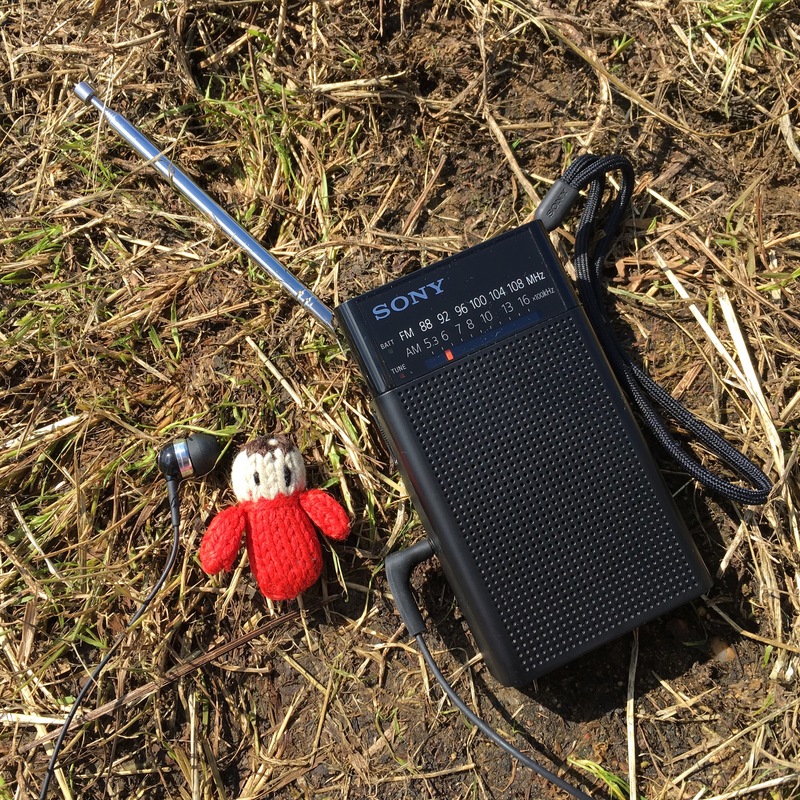 I am glad I went along on the trip, I had a great time! 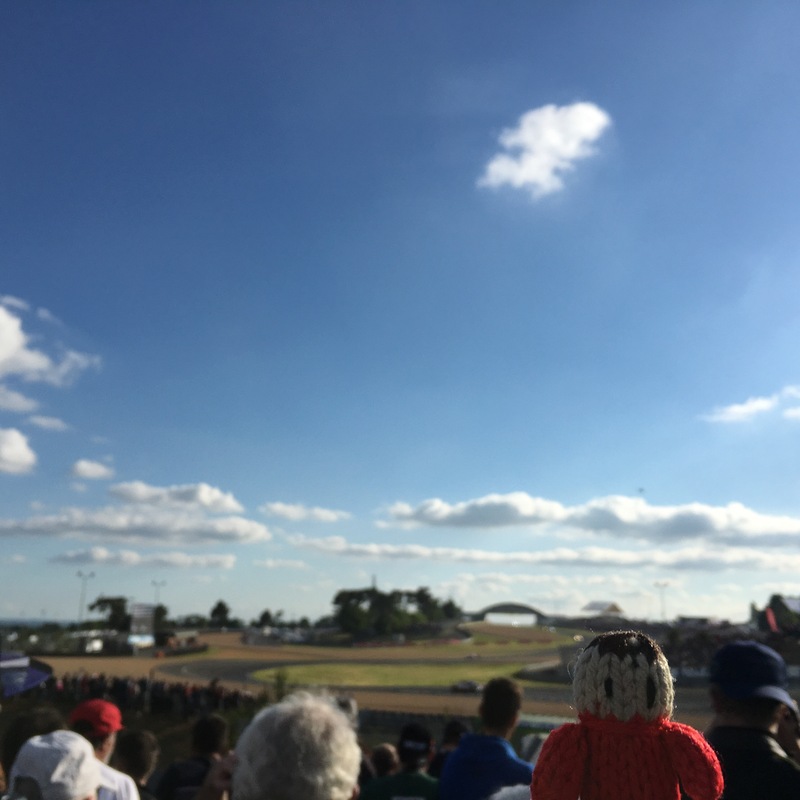 We had Grandstand tickets and went to our seats for the start of the race so we could get the best view. 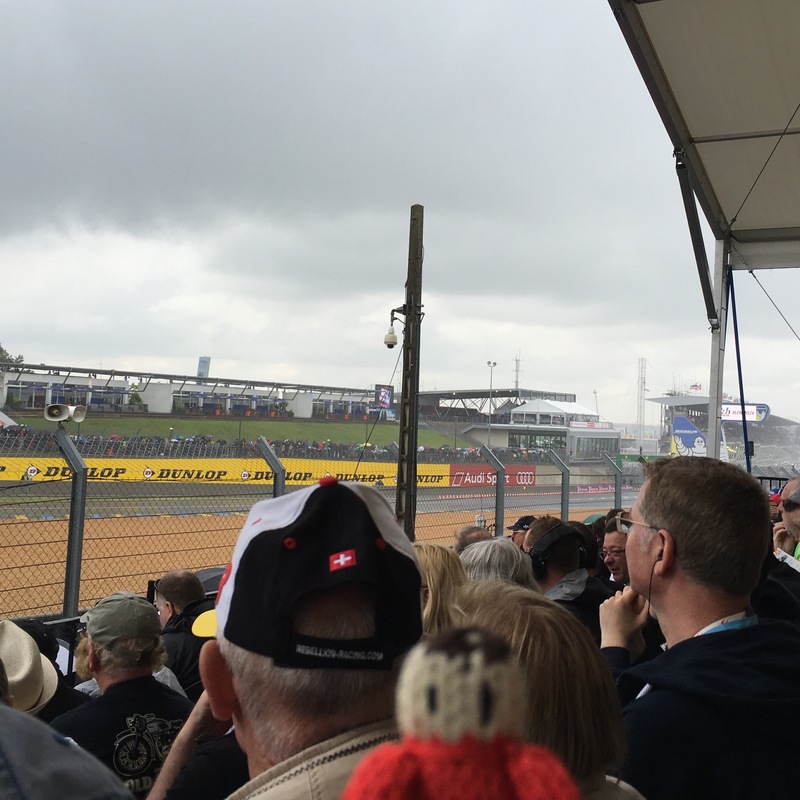 Unfortunately it started raining just before the race was due to get underway. 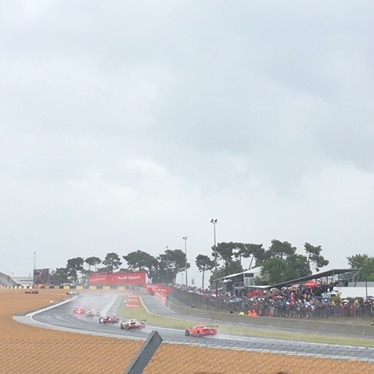 The race was started under the safety car and stayed that way for most of the first hour. 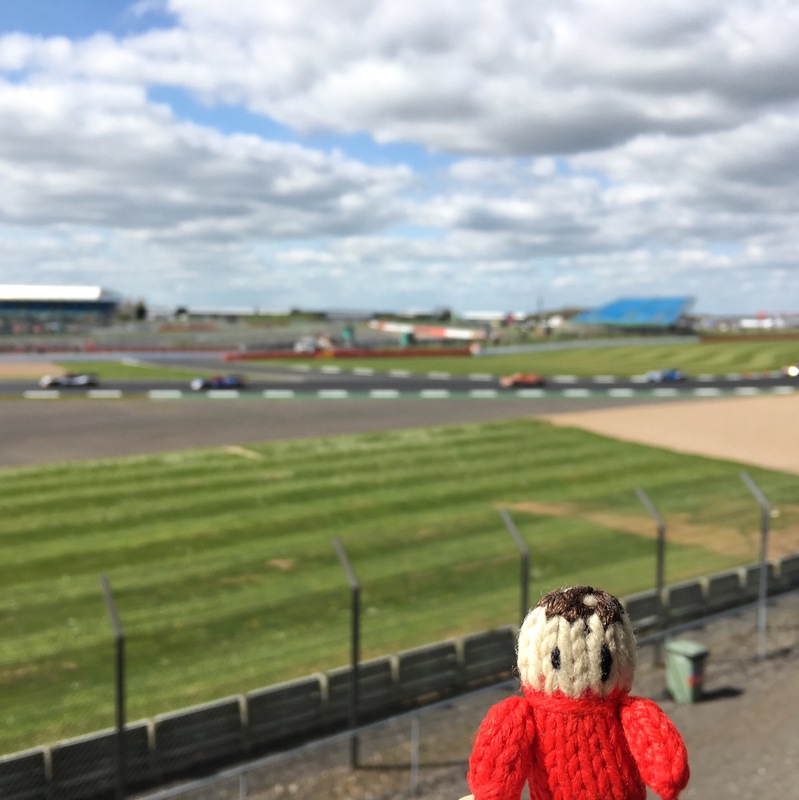 The sun came out again and we went racing! 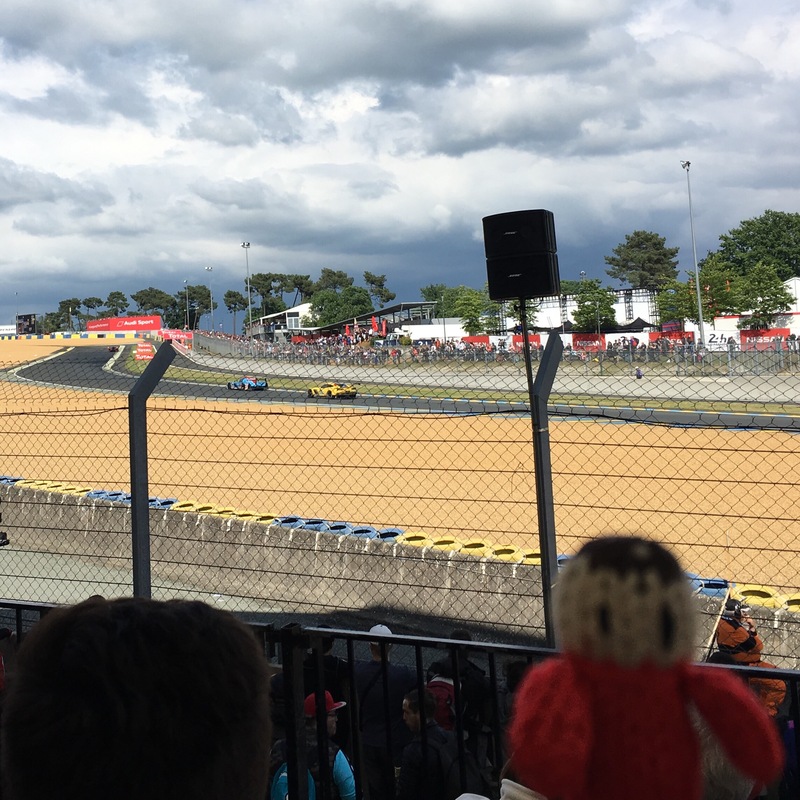 We walked further around the track to watch from Tertre Rouge and the inside of the Forest Esses. 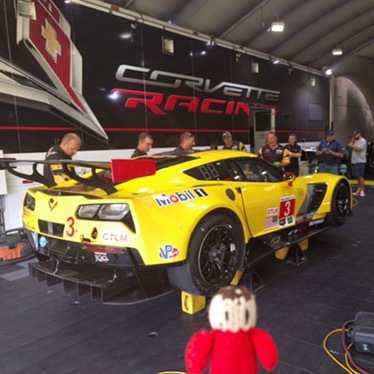 We went back to the pit straight and timed it right to see both Corvette Racing cars come in for pit stops. 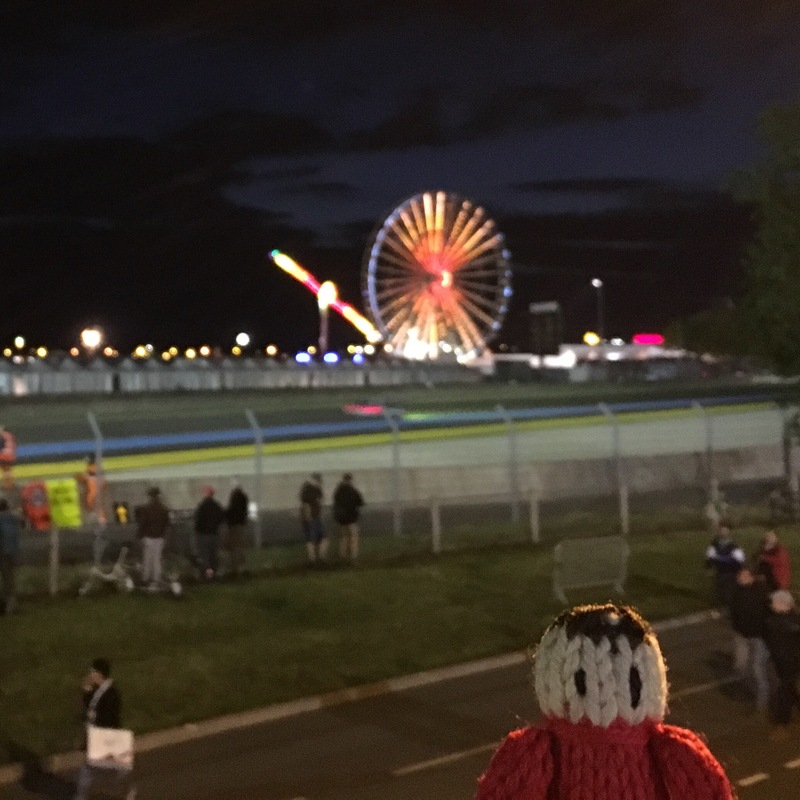 The sun set and we walked back to the Porsche Curves where we could watch from the Travel Destinations campsite viewing bank. 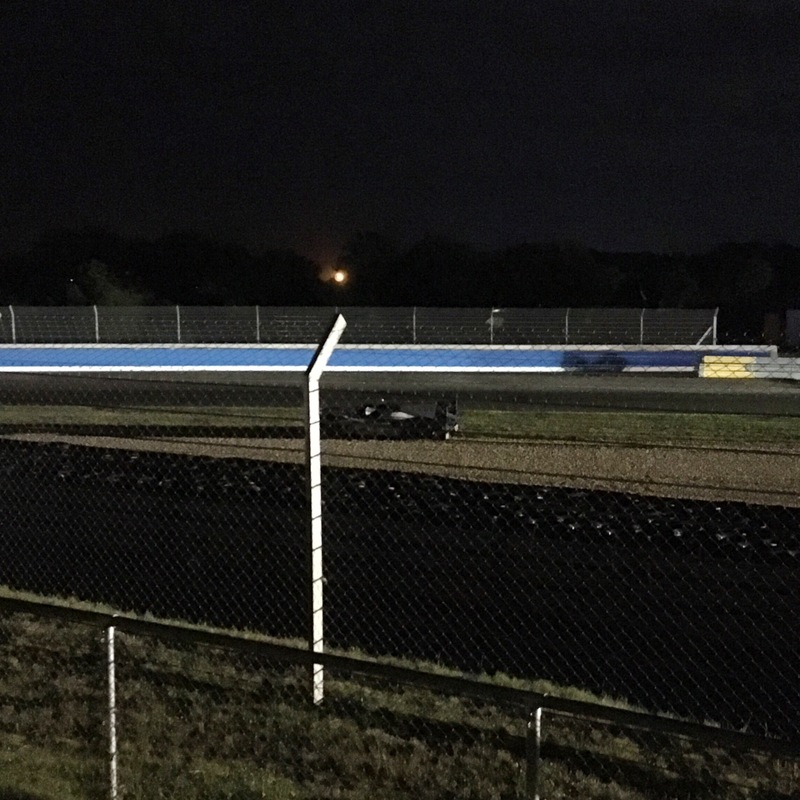 The number 47 KCMG LMP2 car went off in front of us and we watched the marshals recover it before getting a bit of sleep just before 2am. About five hours later we were back! 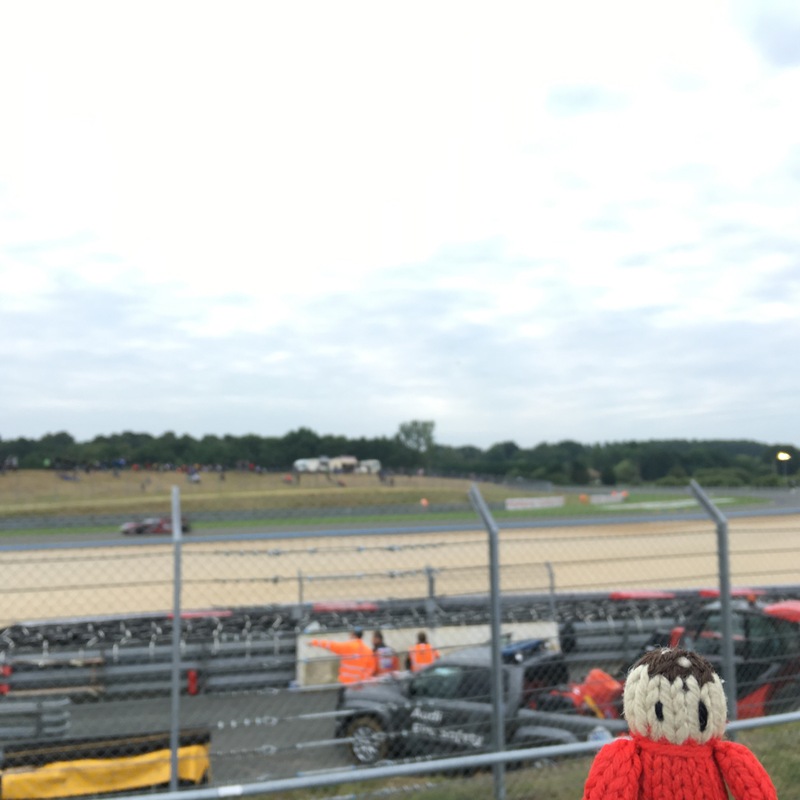 Unfortunately our favourite car, the 64 Corvette, crashed out of the race just as we were getting up again. 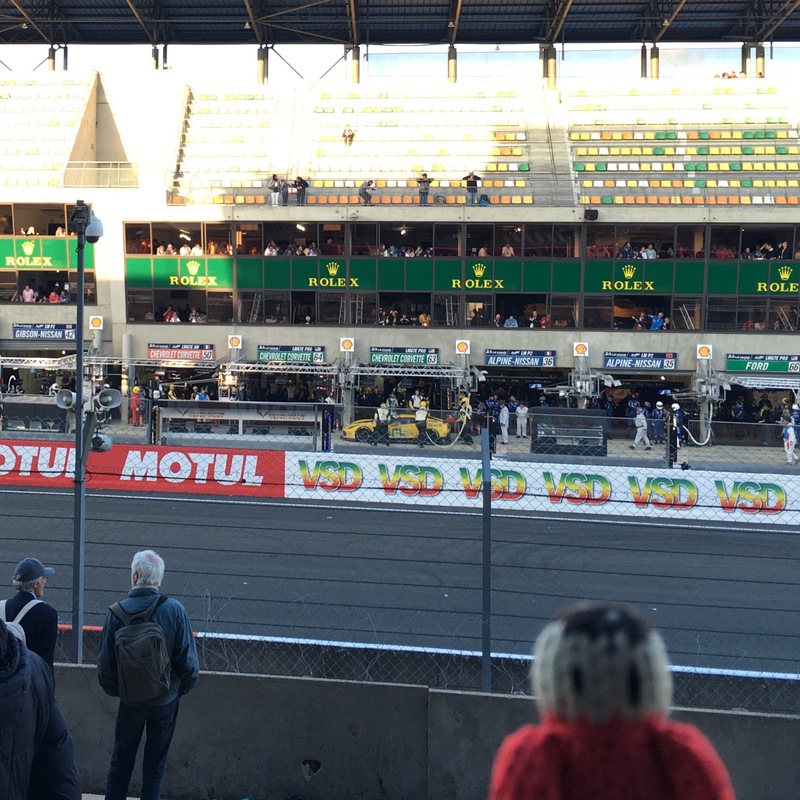 In the daylight we could get a good view of the 47 car behind the barriers. As the morning went on it got sunnier and warmer. Sunday turned into a really nice day. 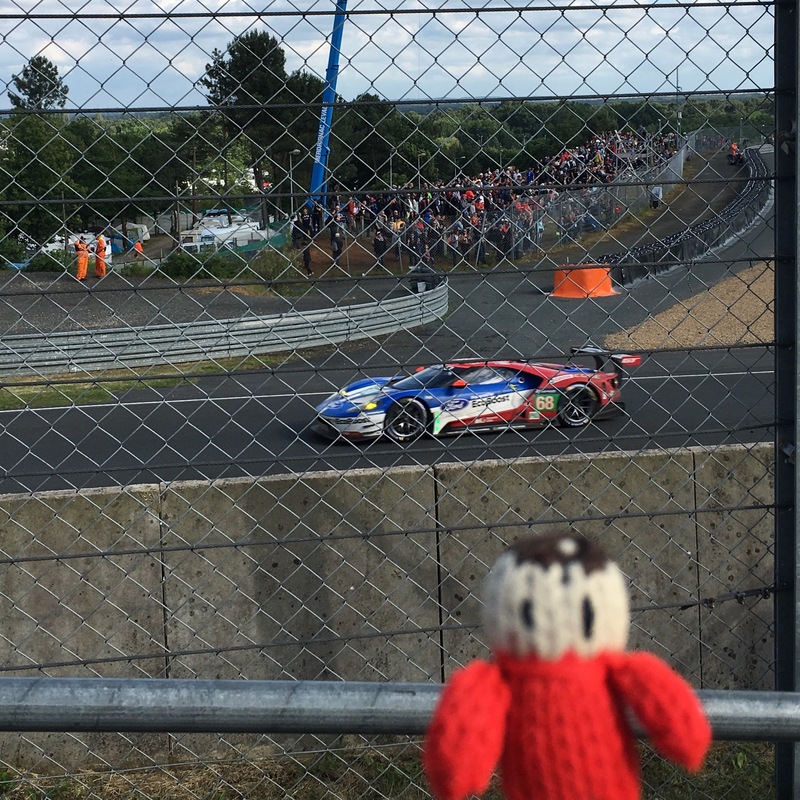 We listened to Radio Le Mans all through the race so we always knew what was going on. 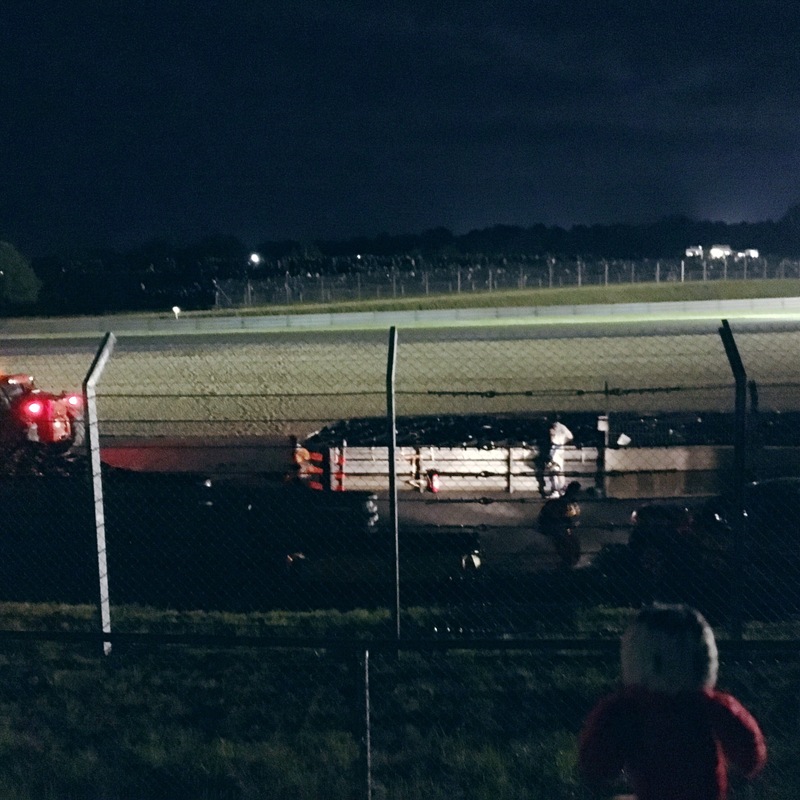 There was so much still happening in the last couple of hours of the race, but nothing more dramatic than the race leading number 5 Toyota LMP1 car breaking down a few minutes before the end of the race when it was so close to winning. 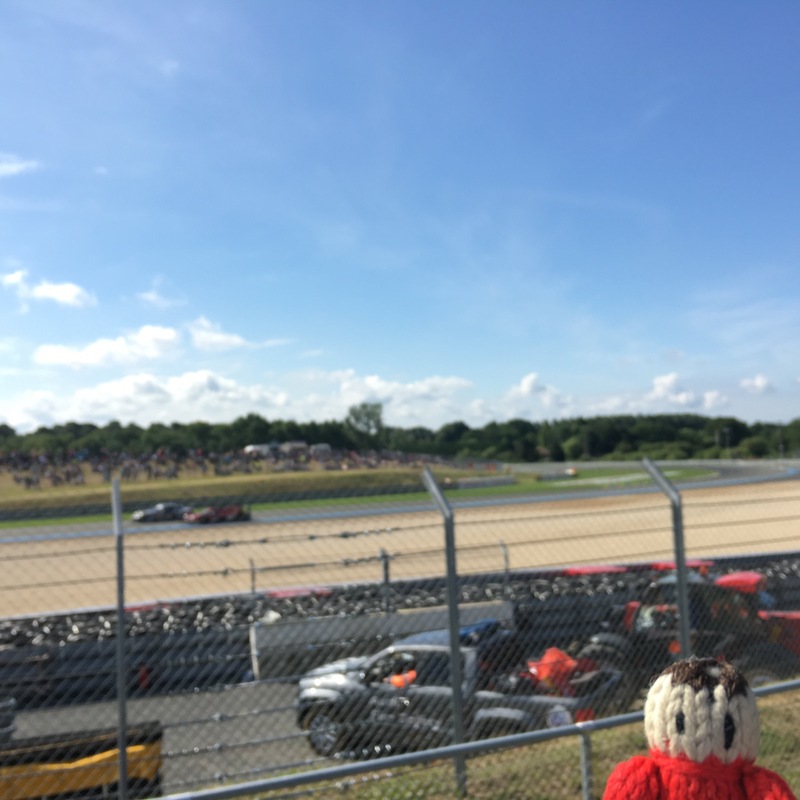 The number 2 Porsche won from the number 6 Toyota and the number 8 Audi was in third. 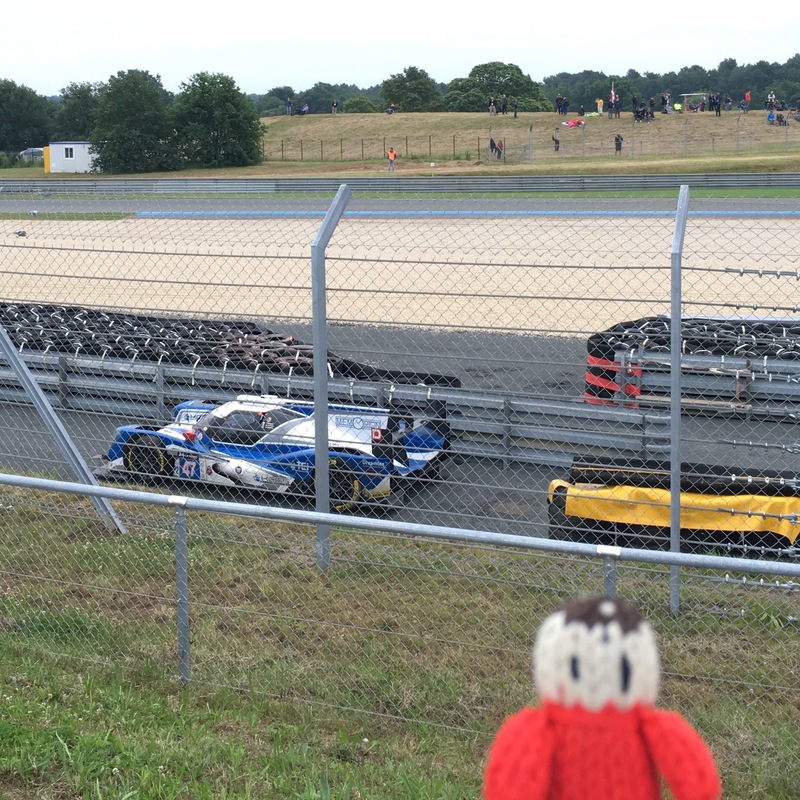 It was a great race in LMP1 but the way it ended was such a shock! 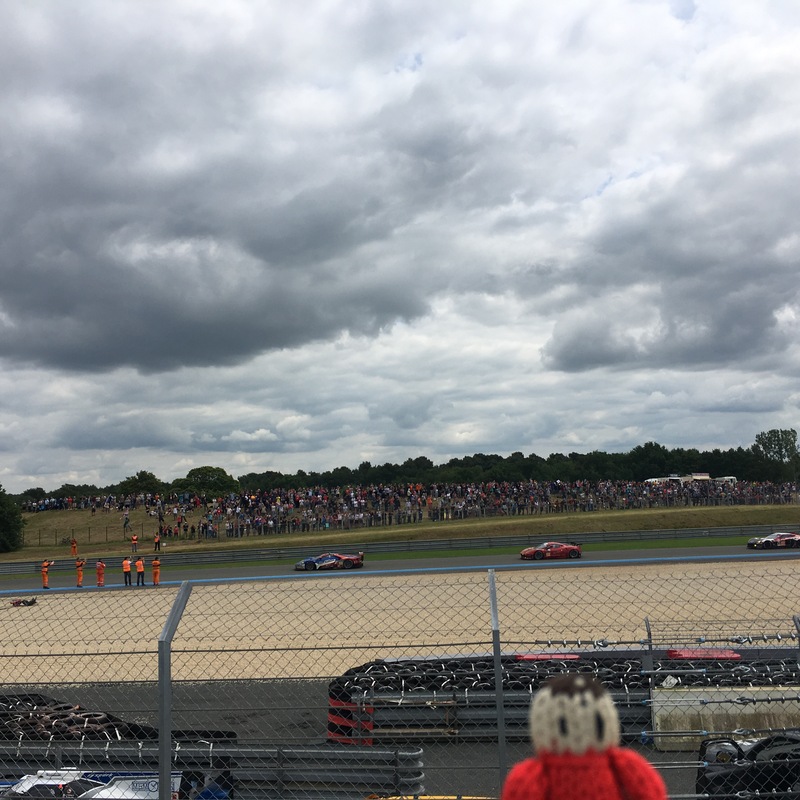 It was a shame that Corvette Racing didn’t have a better race, but there was a lot of action in LMGTE Pro with the Ford GT cars battling with the Risi Competizione Ferrari. 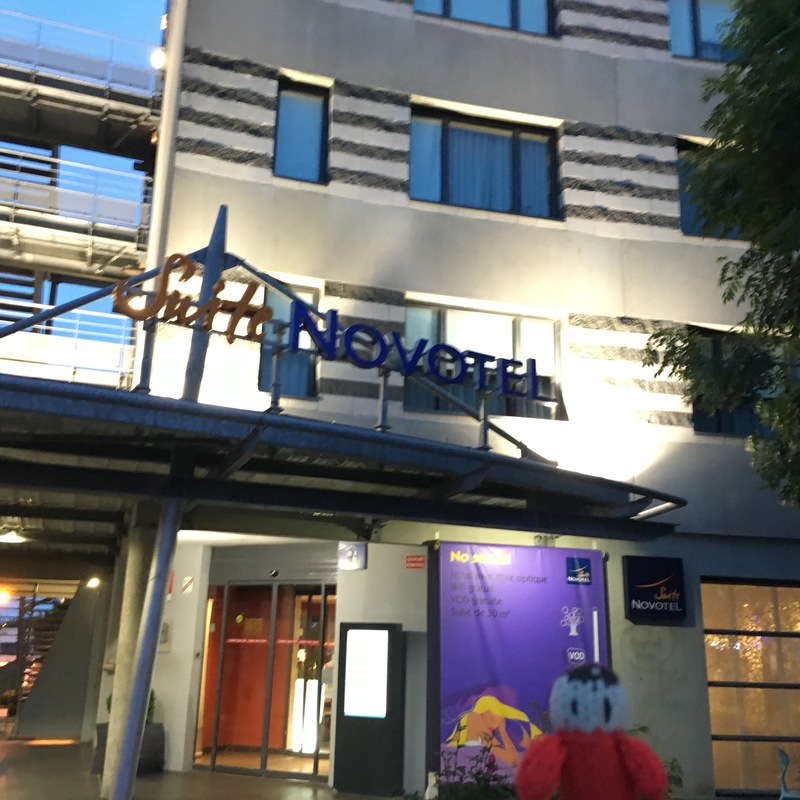 After the race we drove to Calais on Sunday evening and stayed at the Novotel Suite hotel that is very handy for the Channel crossings. 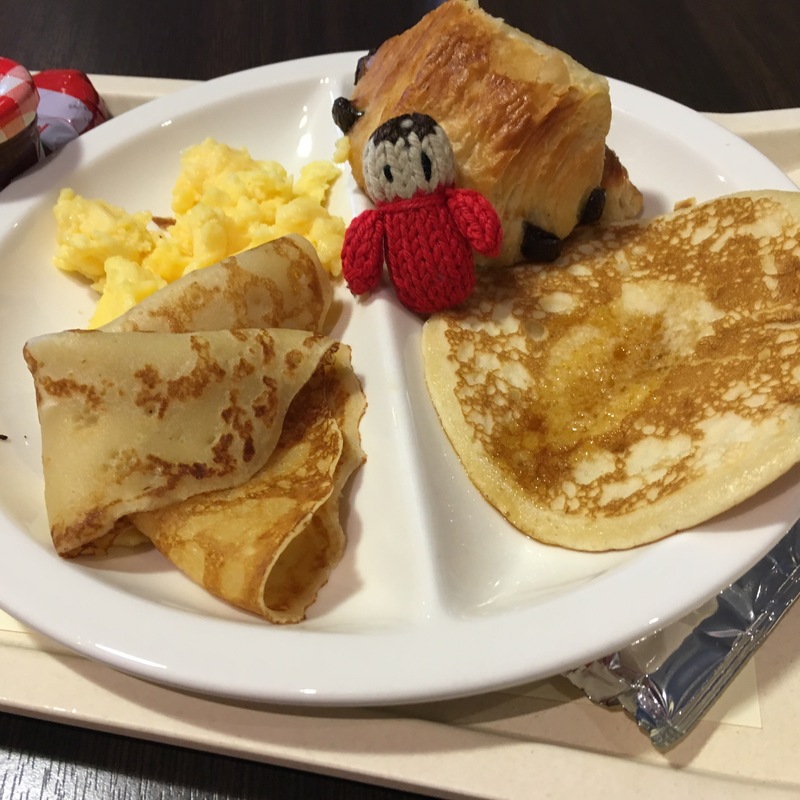 On Monday morning Zoë and I enjoyed the buffet breakfast before catching our P&O Ferry back to the UK.